Back from 10 days of travels, I am happy to see that seen. shirts keep making their way around the world. 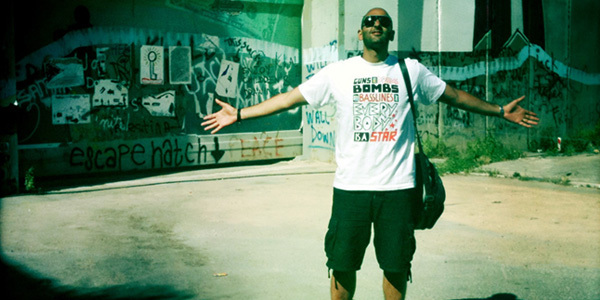 Check DJ Shirkhan in Palestine above, and Ward 21 on tour with Bassrunner here or here. And there’s more good news: Besides our own online shop, seen. is now also available at the legendary Deadly Dragon store in New York City, on the Scandinavian online platform ArtRebels, at Roktic UK, and in the online shop of Riddim magazine. Thanks, jD, ScratchFamous, Matilda, Catarina, Joe, Pete, and Steffen for giving us a shot – and thanks, Adam, Flo, Shirkhan, the whole Ward 21 family and all other supporters and customers for the ongoing support. One!